I have to tell you something, cherries. In these recent months, I have been oh-so-slightly addicted to the color Navy — which — actually involved some “purchases” that had this color. Tee-hee! So I think, it is but fitting that I make a wedding color-spiration about it. Navy plus Fuchsia instantly reminds me of all things nautical and of course, the beach. This color combination is a more vibrant version of my previous color palette Navy and Blush. I even added slightest hints of Mint into this one to add some festive touches and to add just a little more fun. 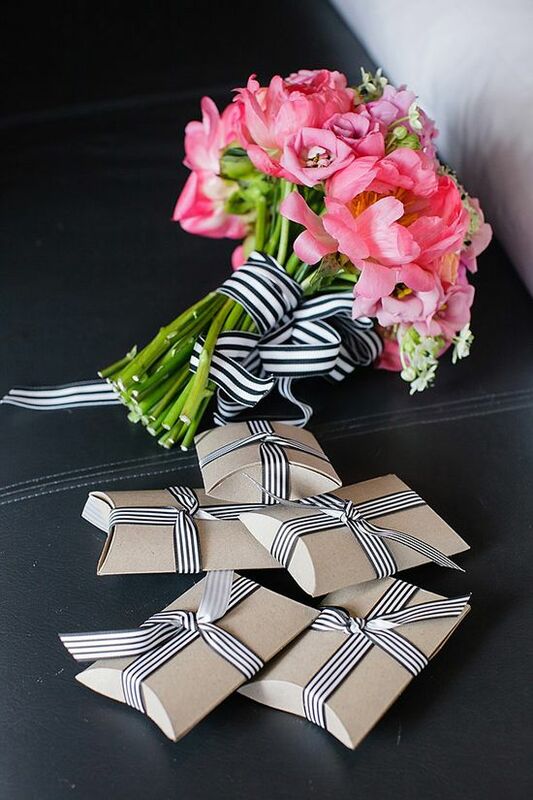 This lovely pink bundle tied with striped navy and white ribbon is just so pretty, I recommend you to do this on your bouquet! Such a classy and chic touch you definitely have to try. Don’t forget to show me the photo if you’ve done this!